When I was 20 years old I was living on the Gold Coast, and a local car company was making a kit car known as a De-Type. I saw one driving around at the time and instantly had to have one. Influenced significantly by the super cars of the day, the De Type was 2.2 metres wide, and just on 1metre high. It was mid-engined, with a range of different engine options, and had scissor doors. At the time, I was a stone broke university student and had no means of getting one, but that didn’t stop me visiting the factory on multiple occasions to watch the cars being built. De Type didn’t take off, and with only a handful of cars being finished and on the road, the company went bust, and the unfinished cars disappeared off the market shortly after. Fast forward 17 years, and I saw one pop up on eBay for sale mid 2014. Still harbouring my dream from all those years ago, and against my better judgement, and my wife’s advice, I got it. 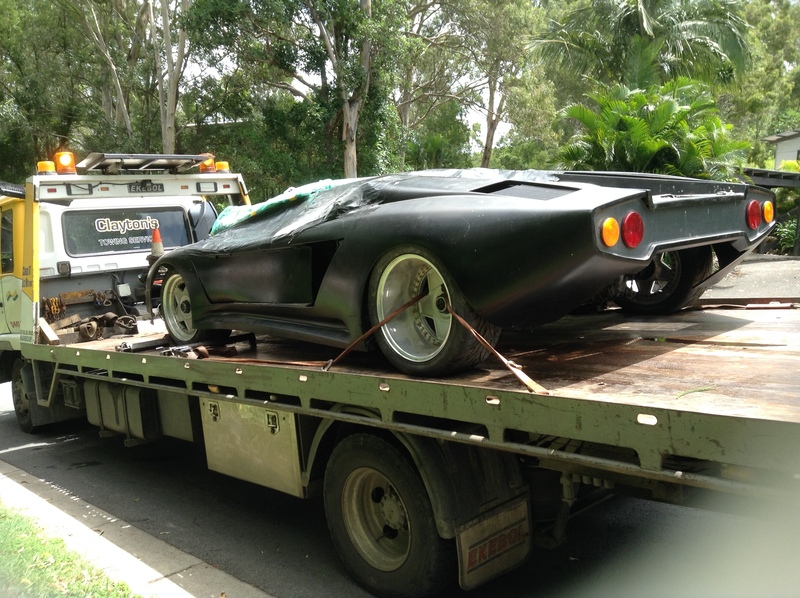 I initially had it trucked directly to a fibreglass specialist to do some body work on it, but unfortunately he turned out to be scum, and not only did he do nothing on the car, he ripped off the advance I had paid him for the work. 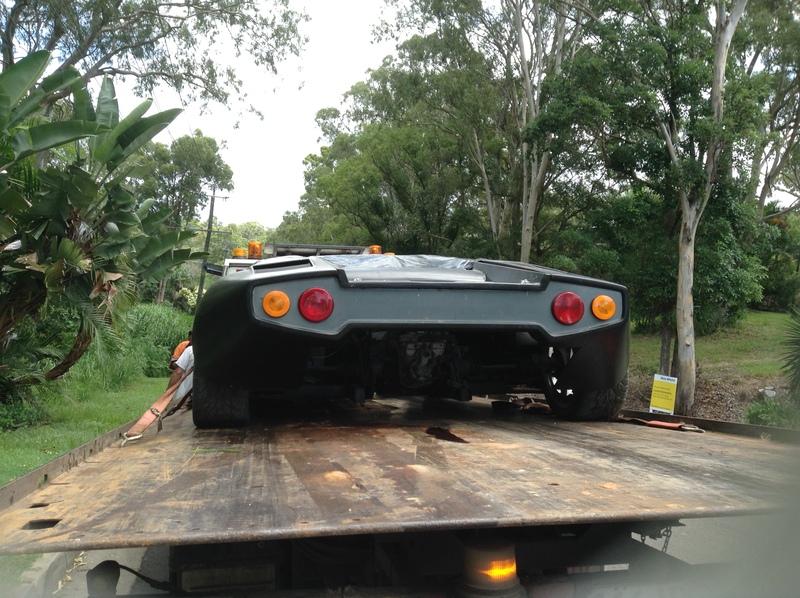 Following that false start, the car was trucked to a storage location where it has sat until now. With my new house and cave finally constructed, it is long overdue to get the car down, and start throwing good money after bad at it! 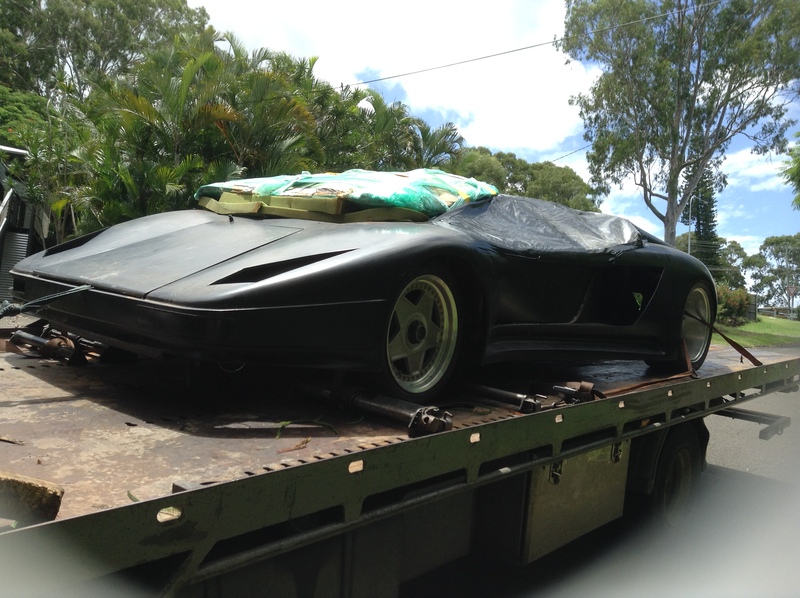 These are photos of the car starting its interstate journey down to my house. I’m yet to lay eyes on it, so I can’t wait.